Before you read my thoughts, I recommend THIS POST on a friends blog by a professional counselor who discusses domestic violence. It provides a great context and is more credible than any thoughts I have. ALSO, if you or someone you know is living in a violent relationship but don't know or trust local resources, consider contacting The National Domestic Violence Hotline. 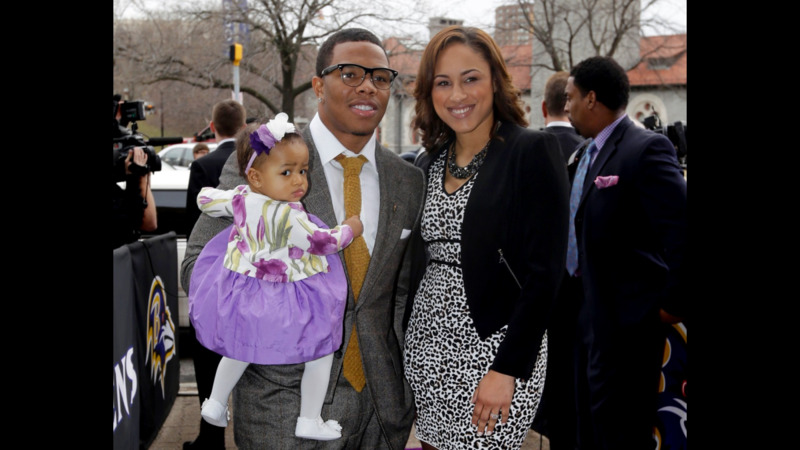 I wrote a month ago about the Ray Rice's apology for domestic abuse. In that post I made the point that Rice was so violent toward his fiance that he knocked her unconscious. Everyone could connect the dots and see that. Ray Rice: The public face of domestic violence. Yet the NFL gave Rice only a two week suspension. In response to the public outrage the league instituted a new policy where a first offense for domestic violence will result in a 6 week suspension and a second offense would mean a lifetime ban from the NFL. Then on Monday the video surfaced of Ray Rice punching his fiance in the elevator and knocking her out. I have been amazed at how seeing the actual violence has changed people's views so dramatically in comparison to last month when they knew what had occurred. Where people previously argued that Rice should receive a 6-8 week suspension instead of just 2, they now want him thrown out of the league. It seems the Baltimore Ravens and NFL have listened to the public this time as the Ravens cut Rice from the team and the NFL has suspended him indefinitely. I'm no expert on domestic violence. I heard an interview this week on a local radio station with a representative from Rochester organisation Alternatives for Battered Women. He did an excellent job of describing many of the issues surrounding domestic violence. Far beyond what I could express. There's a couple of points that I want to make. First, there's a temptation to compare domestic violence with random violence. Athletes seem to regularly find themselves in the headlines for involvement in brawls, usually at bars and nightclubs. For instance, several months ago a couple of Carlton players in Australia were partying at 5am and one received a fractured eye socket. As long as there are no fire arms involved, the usual response to this type of "scuffle" or brawl is for the player to receive a reprimand, extra push ups, or in extreme circumstances to be suspended for a couple of games. Most people seem to accept that combining large amounts of alcohol and young men will result in occasional violent outbreaks. So here's the distinction. Let me clarify that no violence is good, even if some is explainable. But when we talk about domestic violence it's not just a random act. It's usually a situation where two people are living together and one partner is verbally abusive, emotionally manipulative, and at times physically dangerous. In 2012 two rappers and two NBA players walked into a bar. After a while the rappers start fighting. Bottles start flying. Security escorts one NBA player outside without incident while the other received glass shards in his eye before getting out of the way. In random violence there's always an exit. Even the rappers in this story, once the dust settles, go back to their separate lives. I domestic violence the abused partner often feels and believes that there is NO exit. They believe that if they leave they will be pursued and abused even more than previously. It's why our cities and towns have shelters for battered women and their children. While every situation has it's unique dynamics the violence is seldom isolated or not part of a greater abusive pattern. The absence of an exit is a major point of distinction between domestic violence and most other incidents of assault. Perhaps there is no obvious exit because they don't have their own finances or they've kept this shame so long there's no relational support network. In some cases the victims may feel that they need to stay and help the abuser. In other situations the victims through their own though process or as part of the abusive manipulation blame themselves that they're responsible for their partner's anger because they did something that triggered the outburst. These thought processes are unique to domestic violence compared to a nightclub brawl. Second, the attention Ray Rice has received for his crime provides an important opportunity for churches to discuss domestic violence. One in four women are victims of domestic violence. So if you have a church with a 100 women, that means 25 have lived through this type of abuse. On the flip side, if you have a church with 100 men it means that a significant number of them struggle with anger and violence in their homes. How can churches make a difference? How can God make a difference? A fundamental step is to talk about domestic violence. Talk about it in your men's ministry. Talk about it from the pulpit. Make sure women know that they will receive a sympathetic ear and practical support if they find themselves in an abusive relationship. If you don't know how to address this issue or don't have the experience to provide practical assistance to men with anger problems, be proactive. Bring in a counselor or someone trained in anger management to discuss the issues. Find solutions, not excuses. Finally, wouldn't it be a great statement for your men's ministry to head up a fundraiser for a bettered women's shelter in your community. Take a public stance against violence in the home and support those who've experienced that violence. Then in 1 Timothy 5:2 Paul tells the young preacher, Timothy, "Treat elderly women as mothers, and younger women as sisters in all purity." Let's encourage each other to live up to the standards God gives us.